Astronomers have used an AI (artificial intelligence) in partnership with Google to uncover two more hidden planets in the Kepler space telescope archive. They are from the University of Texas at Austin. So they discovered planets from Kepler’s extended mission which is called K2. Anne Dattilo who is the lead of the team (an undergraduate at UT Austin) created an algorithm to find sifts through the data taken by Kepler․ The discoveries have been accepted for publication in an upcoming issue of The Astronomical Journal. According to the phys.org “Other team members include NASA Sagan fellow at UT Austin Andrew Vanderburg and Google engineer Christopher Shallue. In 2017, Vanderburg and Shallue first used AI to uncover a planet around a Kepler star—one already known to harbor seven planets. The discovery made that solar system the only one known to have as many planets as our own”. “K2 data is more challenging to work with because the spacecraft is moving around all the time,” Vanderburg described. 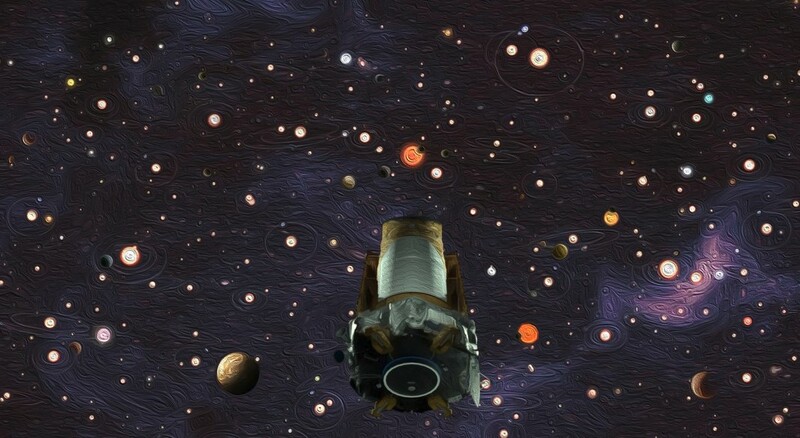 The Kepler and K2 missions have already revealed thousands of planets around other stars, with an equal number of candidates awaiting confirmation. For this occasion Vanderburg explains “AI will help us search the data set uniformly”. “Even if every star had an Earth-sized planet around it, when we look with Kepler, we won’t find all of them. That’s just because some of the data’s too noisy, or sometimes the planets are just not aligned right. So, we have to correct for the ones we missed. We know there are a lot of planets out there that we don’t see for those reasons. If we want to know how many planets there are in total, we have to know how many planets we’ve found, but we also have to know how many planets we missed. That’s where this comes in,” he explained. Of the two planets, one is called K2-293b and orbits a star 1,300 light-years away in the constellation Aquarius. The other, K2-294b, orbits a star 1,230 light-years away, also situated in Aquarius. Next Next post: When Was the First Computer Invented?